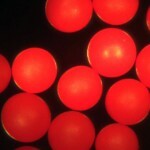 Barium Titanate Glass microspheres are high density solid glass spheres. 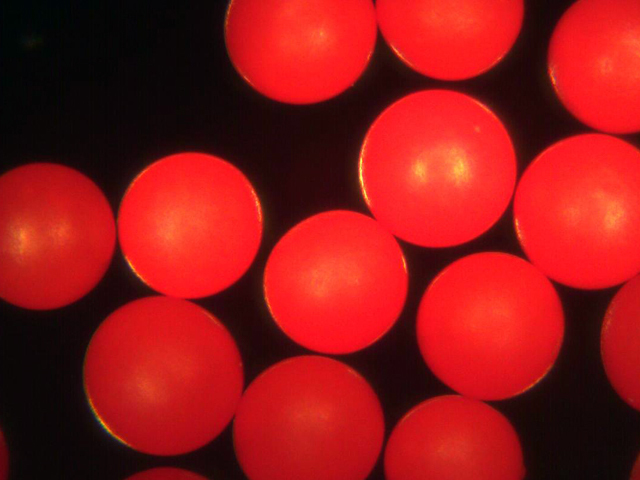 At a Density of 4.5g/cc these solid glass spheres can be used for many scientific applications where high density and optical clarity is needed. In addition to high density they also offer an index of refraction of more than 1.9. Bulk quantities are available in 30-100um and 0.3-1.0mm size ranges. For experiments requiring the highest precision the beads can be purchased in classified grades offering >90% of the spheres within a specific size range. Standard Sizes include the narrow ranges below. 38-45um, 45-53um, 53-63um, 63-75um, 75-90um, 90-106um, 0.25mm-0.3mm, 0.3mm-0.35mm, 0.36mm-0.42mm, 0.43mm-0.5mm, 0.5mm-0.6mm, 0.6mm-0.7mm, 0.71mm to 0.85mm, and 0.85mm to 1.0mm. In the biomedical industry researchers are sometimes looking for cells having targeted specific gravities. In order to locate these cells in test tubes it is useful to have colored marker beads which will show where the delineation between specific densities occurs. Two microsphere products having densities of 1.065 g/cc and 1.075 g/cc were recently released. 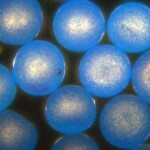 These spheres are offered with density tolerances of ±0.005 g/cc enabling excellent stratification, and bright blue and red coloration for high visibility with the unaided eye. 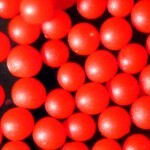 Santa Barbara, CA – May 28, 2010 – Cospheric LLC is now offering a product line of solid red polyethylene microspheres in particle size ranges from 10um to 1000um (1mm). Offering a bright red color. 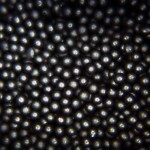 These microspheres can be used as additives in personal care products, or in fluid flow visualization experiments. Samples are in stock and ready to ship to customers for R&D use of product evaluation. 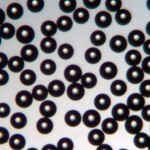 These high quality microspheres are specified to be greater than 90% spherical, and greater than 90% in the specified size range. 10-27um, 27-32um (30 micron), 32-38um (35 micron), 38-45um (40 micron), 45-53um (50 micron), 53-63um (60 micron), 63-75um (70 micron), 75-90um (80 micron), 90-106um (0.1mm), 106-125um, 125-150um, 150-180um, 180-212um (0.2mm), 212-250um (0.25mm), 250-300um (0.3mm), 300-355um (0.35mm), 355-400um (0.4mm), 400-500um (0.5mm), 500-600um (0.6mm), 600-710um (0.7mm), 710-850um (0.8mm), 850-1000um (0.9mm).